Q and A! How to choose the right UBass model for you! – Play UBass! Q and A! How to choose the right UBass model for you! I get a lot questions about what model to choose when thinking of buying that first Ubass! Some time have passed since I wrote those posts and I have been playing more fretted Ubass (Kala SUB) now. This makes it’s easier for me to compare fretless and fretted models and hopefully give you some new thoughts and perspectives about this matter. Ok, so you’re thinking about whether you should get a fretless of a fretted Ubass? If you want to buy any of the fretless models there will be an advantage if you have been playing a instrument without frets before, like a fretless bass, cello, violin or upright bass. If you buy a new instrument you probably want to use it in public as soon as possible. So if you are not used to the fretless fretboard of any instrument it WILL take time to get a consistent in-tune tone on your fretless UBass. More things to consider: What styles of music do you want to play on the Ubass? Playing the fretless model makes it a bit easier to get a more upright and jazzy sound. (But it is also possible to get a more rock sound from the acoustic Ubasses too, both fretless and fretted. It all depends on the technique used). This is something you can learn more about in my upcoming lesson packs for Ubass! Stay tuned for more info soon! Because of the short scale (21 inch) the spacing of the frets on are a lot less than on a regular bass (most common on an electric: 34 inch). This will take some time to adjust to. Without frets you will be a bit forgiven if you fret the notes on the ‘fret’ (since it lacks fret wire!). Because of the rather short decay the notes you play will quite quickly ‘die’ and you can focus on the next note if the one you just played was a bit out of tune. On the other hand if you play a fretted Ubass you have to play between the frets to get rid of fret noise (sometimes referred as ‘farting’ on some forums 😉 BUT to get the best possible tone you should play as close to the fret wire as you can. More about this in future lessons! 1. What styles of music will I likely play on my Ubass? 2. Have I’ve got some experience playing fretless instruments (fretless bass, cello, violin, upright bass)? 1. I want to emulate a upright jazzy sound. 2. I’m used to play fretless bass or another fretless fingerboard and because of that am used to really listen to the pitch my playing produce and can quickly alter my fingers to accommodate in-tune playing. 2. I have not played fretless instruments before and want to be able to use by Ubass RIGHT AWAY! Well maybe you should go for the a fretted model OR maybe look into the solid body options. Kala has quite a few models available now so there are a lot to choose from. Please check out the new instrument page at Ubass.com for more info. I’m also starting up a playubass.com newsletter. You will soon be able to subscribe to it! 2. I’m NOTused to play fretless bass or another fretless fingerboard but I’m willing to practice to get used to it. BTW it would be cool if the new Rumbler u-bass was available fretless. But it does not seem to and I got no reply from u-bass support about it. That’s great! I have played the fretless much more then the fretted Ubass. AND I have not played a fretted acoustic Ubass more than a few times. I do think you can get a jazzy upright sound with the fretted acoustic (and solid body models) too. But I find it easier with the fretless. It’s also a matter of what you want to play. Low register ‘regular’ bass lines or higher register melodies or solos. The higher you go the harder it gets playing in tune because of the short scale. You really have to listen and make super quick adjustments to make it work. 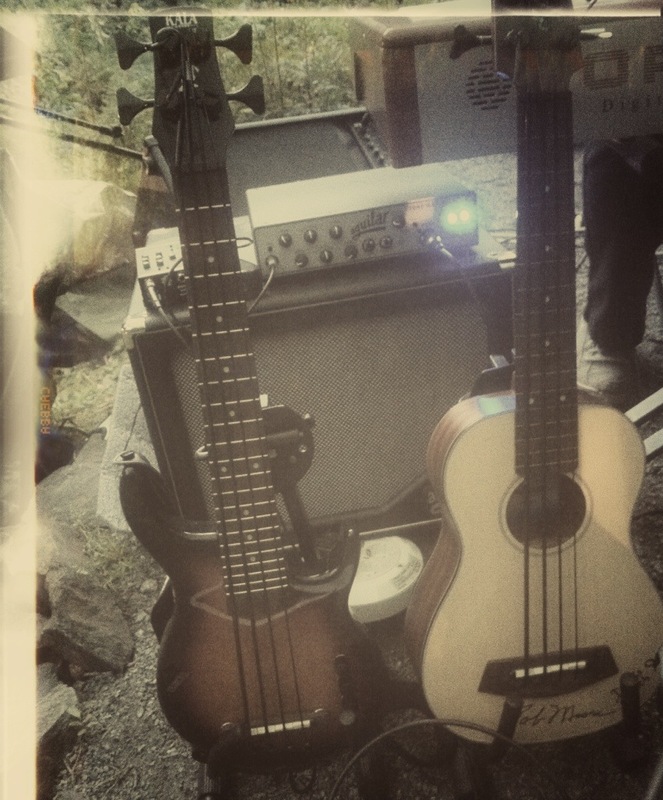 Good luck with your Ubass and may it shine on your next recording session!